Although good swimming pools and spas are built to last, occasional mishaps can cause damage to the shell, requiring patching. 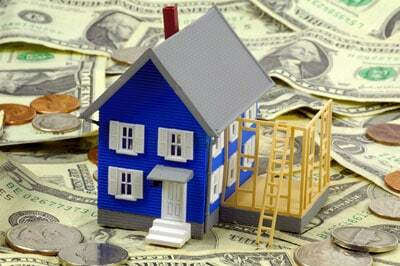 In most cases, it’s best to seek the assistance of a professional so that no additional damage is caused. Before you can repair a leak, you’ve got to find it. It’s often difficult to determine whether a drop in the pool’s water level is the result of a leak or normal evaporation. You can call in a professional leak detector to make the diagnosis, but first perform a “bucket test” yourself. Fill a bucket three-quarters full with water and mark the water line on the inside of the bucket; also mark the water line on the wall of the pool. 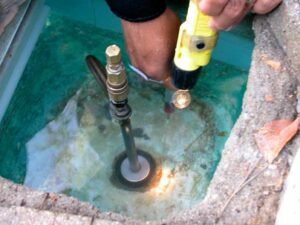 A professional leak detector checks this pool’s skimmer—often the source of the problem. Let the bucket float in the pool—with the handle removed for better stability—for two or three days, keeping swimmers away. If the water loss is due to evaporation, the water level in both the bucket and the pool will have gone down by the same amount; if it’s due to a leak, the level of the pool will have dropped farther than the water in the bucket. 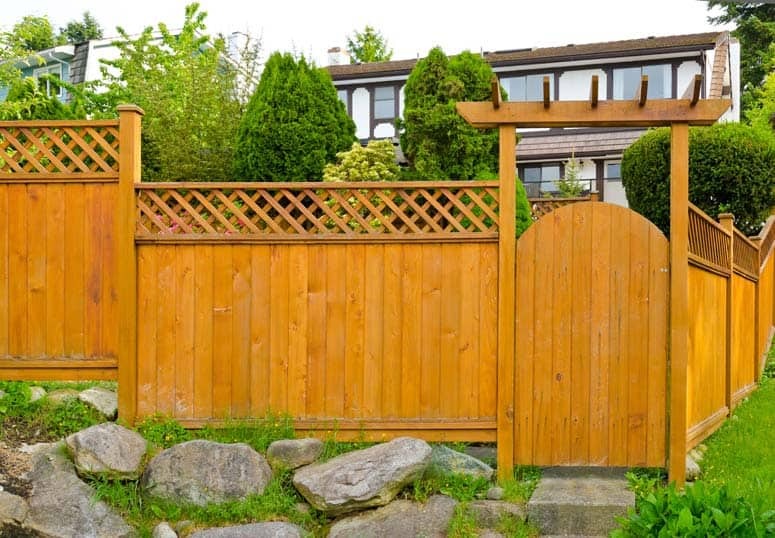 Just as with a basement wall or foundation, the concrete walls of a pool or spa can sometimes crack as the surrounding soil moves. Small cracks can be easily repaired, but larger ones may indicate structural problems that have to be corrected through excavation. In general, a crack less than 1/4 inch wide and shorter than 2 feet long can be repaired, although the process is time consuming. The pool must first be drained to below the level of the crack, something that should not be done without a professional’s guidance–a drained shell can crack further or pop out of the ground. After draining, use a chisel to widen the crack slightly and remove loose material from the edges. Dampen the concrete and make a patching compound with Portland cement. Then work the compound into the crack with a mason’s trowel and brush the patch with muriatic acid to create a smooth texture–a process called etching. Coat the entire surface with an epoxy-based paint so the patched area or areas won’t be visible. 1A small crack in the wall of a concrete pool can sometimes be corrected. If the crack is longer than 2 feet, however, this can indicate structural problems that cannot be resolved simply by patching. 2To properly patch a small crack, drain the pool to below the level of the crack. In order to create a fresh edge for the patching material to adhere to, widen the crack with a chisel or other tool. 3Once the crack has been widened slightly, dampen the concrete and work a patching compound containing Portland cement into the crack. After that, smooth the edges using a mason’s trowel. Daily contact with chemicals and exposure to outdoor elements can slowly dissolve the plaster coating in a concrete pool and cause it to chip in a process known as spalling. Although this does not pose a structural hazard, it is unsightly and can create jagged edges that harbor algae. You can repair spalling by patching, but it will recur. Eventually, you’ll need to replaster, usually within 7 to 10 years of the pool’s construction. A plasterer will first sandblast off the old plaster, to ensure that the new coat will adhere well. 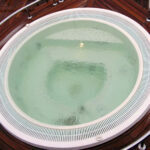 Although fiberglass pools are extremely durable, their gelcoat surface may fade, turn dull, or stain. If the deterioration is limited to one small area, more gelcoat can be applied to that spot. But if the damage covers a large area, the pool may have to be drained and the entire shell recoated (draining should be done only under a professional’s supervision). 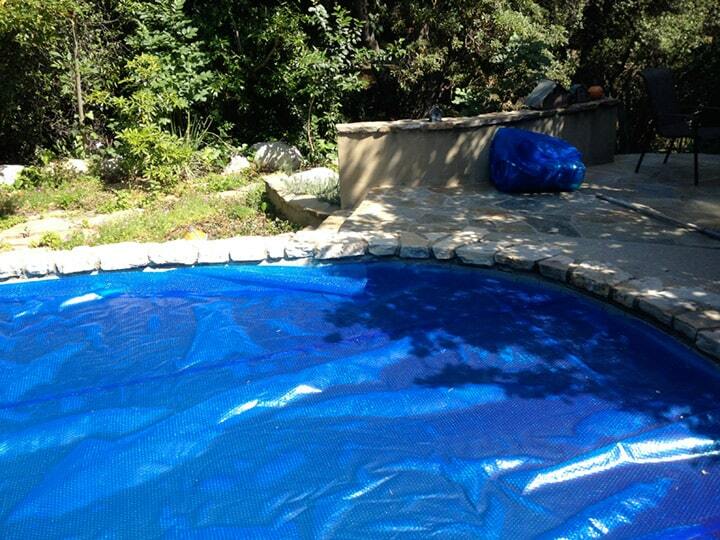 You can coat your fiberglass pool with epoxy paint instead of gelcoat to enhance its appearance. The lining of a vinyl pool can be torn easily, but small tears–less than 3 inches long–can also be repaired easily. In many cases, you can do it yourself rather than bring in a professional. Anything much longer than 3 inches may require replacing the entire liner. 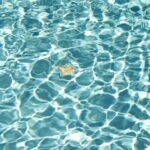 The most common way to repair a torn vinyl liner is to drain the pool to just below the tear mark–being careful not to completely empty the pool, unless under a professional’s supervision. Then patch the liner, similar to the way you patch a bicycle inner tube. 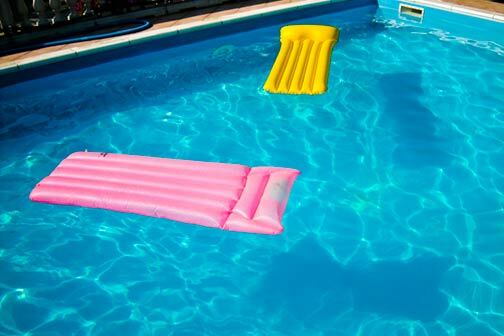 To make the repair, it is important to have a piece of material that is identical to the original pool material. To prepare for eventual patching needs, ask the installer to give you an extra piece of liner when the pool is constructed. Some manufacturers make underwater patching kits. To use one of these kits, position the patch, then apply pressure from the center outward to squeeze out any water. 1While large tears in a vinyl pool require that an entire new liner be installed, small tears measuring 3 inches or less, can successfully be repaired. 2To begin the process, rough up the area with a piece of sandpaper. Then coat it with a solvent cement; also apply the cement to the back of the patch. 3Once the solvent cement has dried and become tacky, cut the patch so it extends at least 3 inches on all sides of the tear. Apply the patch. In a vinyl-lined or fiberglass pool or spa, a bulge in the side may indicate either drainage or structural problems–both of which are major and will require excavation and possibly even replacement of the pool. If the bulge is sizable–more than 2 feet in diameter–immediately call the installer and don’t swim in the pool until it’s checked. Soft water, which has low calcium levels, and can sometimes dissolve the calcium in grouting. Regrout the pool and test the calcium levels in the water. If it’s lower than 250 ppm, add calcium chloride.